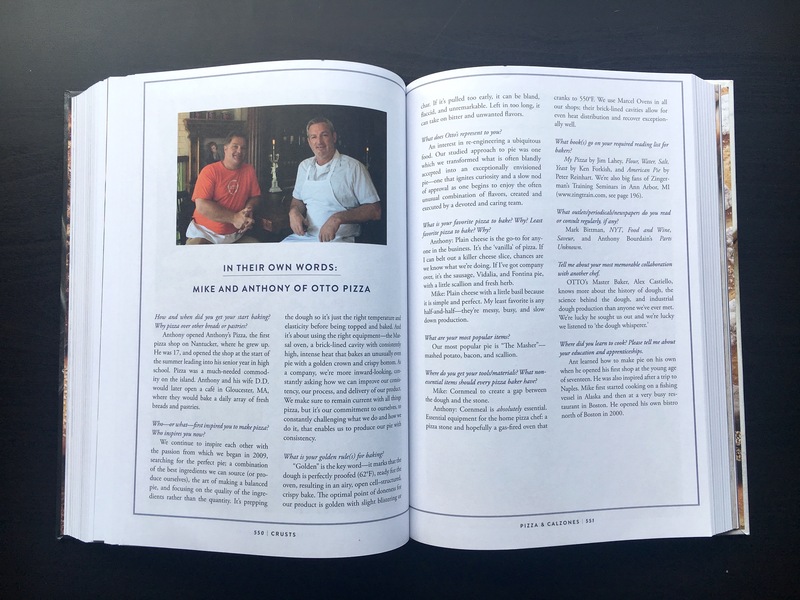 OTTO founders Anthony Allen and Mike Keon are featured in Crusts, a brand new, 848-page baking book from Cider Mill Press. 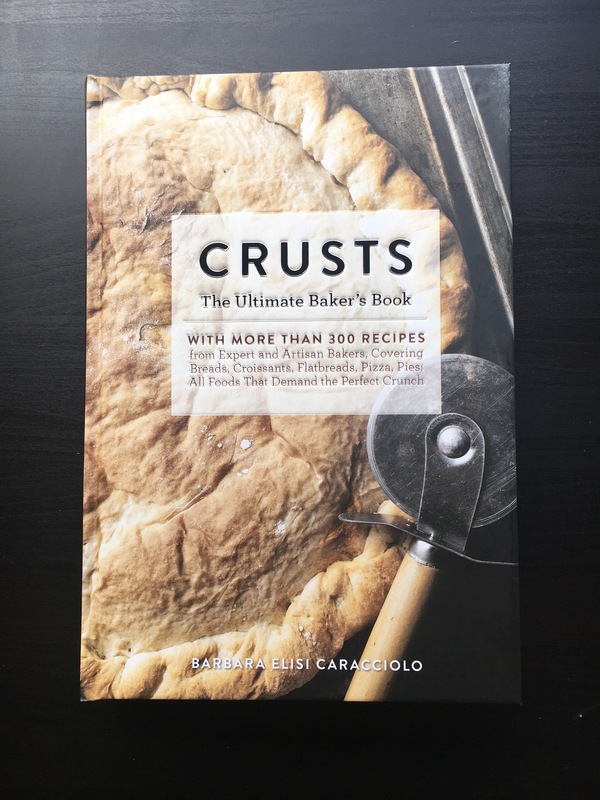 Written by Barbara Elisi Caracciolo, owner of Spigamadre bakery in Sweden and blogger behind Bread and Companatico, Crusts runs the gamut, featuring: gluten-free, Paleo, vegetarian, and vegan recipes; complete how-to sections on making your own dough, bread, and pizzas with easy-to-follow instructions; helpful tips and techniques from expert bakers and chefs; culinary histories behind your favorite loaves and pastries; an illustrated catalog of more than 100 grains from around the world and throughout time, and much more. The book features a profile on OTTO, an interview with owners Mike and Anthony, and the recipe for OTTO’s signature ‘Masher’ pie (Mashed Potato, Bacon & Scallion), which has been named one of the best pizzas in America by The Food Network. It’s an elegant and informative book, packed with a wealth of insight and inspiration. Pick it up at your local independent bookstore, directly from the publisher, or anywhere books are sold. 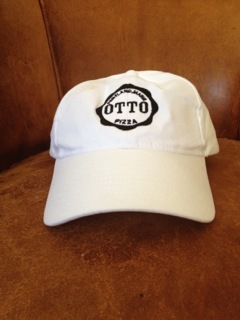 Ready for Our Closeup: OTTO Pizza’s Gonna Be on TV! We’re gonna be on TV! The Phantom Gourmet is going to run a segment on OTTO Pizza this Saturday at 11 a.m. on myTV38. Regular readers of the OTTO Blog may recall that a few months ago, a crew from the Phantom Gourmet stopped by to see first-hand how the OTTO PIzza magic happens. For those of you who don’t live in the Boston area, the Phantom Gourmet is a legendary television show that consistently features the best the Boston food scene has to offer. It airs on myTV38 on Saturdays and Sundays at 10:30 a.m. and 11 a.m. You can catch the show in Maine now, too, on WPME-TV on Sunday at 11 a.m. Earlier this summer, the Phantom Gourmet crew spent an afternoon at the OTTO Pizza shop in Coolidge Corner, talking with co-owners Anthony Allen and Mike Keon and shooting footage that will give their viewers an up-close and personal take on the backstory behind our award-winning pies. Catch the Phantom Gourmet – and the segment about OTTO Pizza – on Saturday and Sunday morning at 11 a.m on myTV38. They took a good look at one of our most popular slices: The Masher, which features mashed Maine potatoes, bacon and scallions, learned about a couple of other OTTO Pizza specialties, including the Pulled Pork & Mango and the Butternut Squash, Ricotta and Cranberry, and it was great hanging out with them, too. We can’t wait to see what airs. You can catch our segment this Saturday morning at 11 a.m. If you’re into skateboarding, or even if you’re not, you’ve probably heard of Tony Hawk, who is without question the most popular skateboarder in the world. Craid Candage found the Tony Hawk Twitter Hunt box that had been stashed at OTTO Pizza in Portland, Maine. Every year, Tony Hawk stashes a bunch of boxes, filled with swag — skateboard gear from his company, Birdhouse Skateboards, autographed items, and other cool stuff — at various locations around the country. You may have read about it in USA Today or on ESPN. This year, he hid 45 boxes in cities throughout the country and a handful in various other English-speaking countries throughout the world. 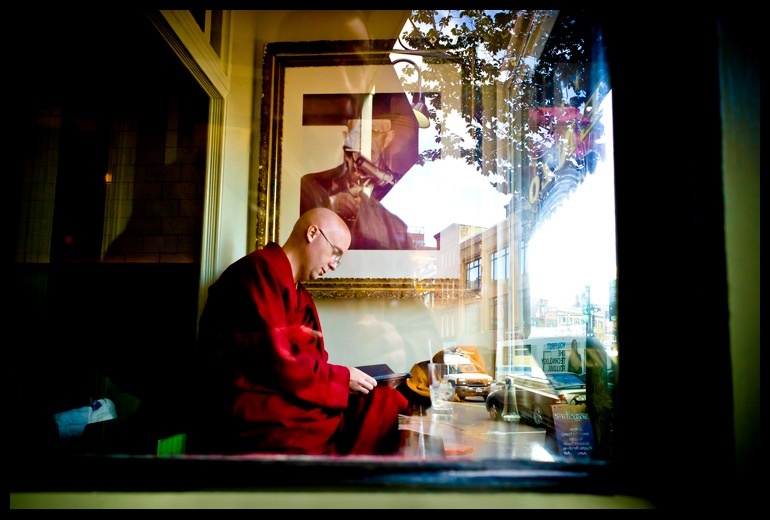 More specifically, he stashed one at OTTO Pizza‘s shop on Munjoy Hill in Portland, Maine. He got it: a big ol’ box full of swag, courtesy of Tony Hawk and his skateboard company, Birdhouse Skateboards. So, what was in the box? All sorts of cool stuff: some T-shirts and other apparel gear, some skate gear … too much to describe, really. 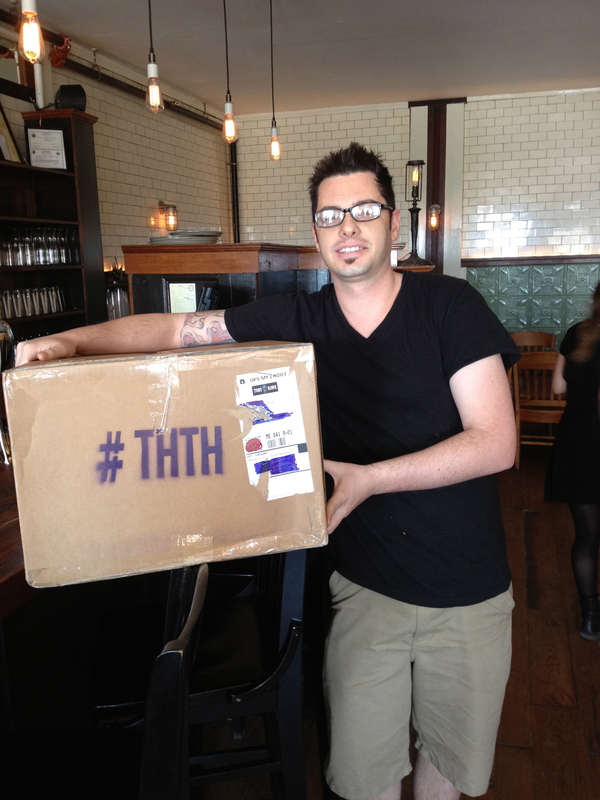 Craig Candage, who found the Tony Hawk Twitter Hunt box that had been stashed in Portland, Maine, as part of the 2012 event, displays the load of swag that had been packed into the prize box. 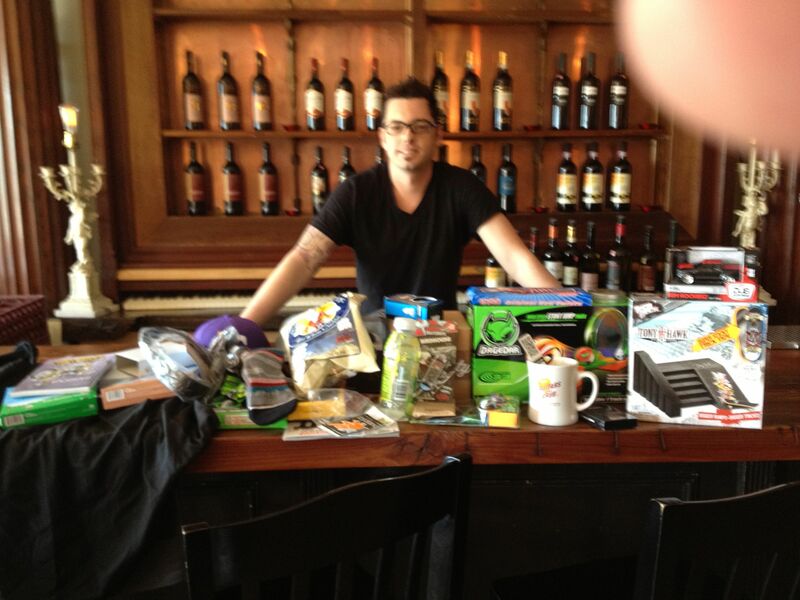 Check out the photo to get a sense of what the winner walked off with. You can see a video of Craig unpacking his box here. And if you want to see if you can find one of these wicked cool boxes next year, make sure you follow @tonyhawk on Twitter so you can track the clues. 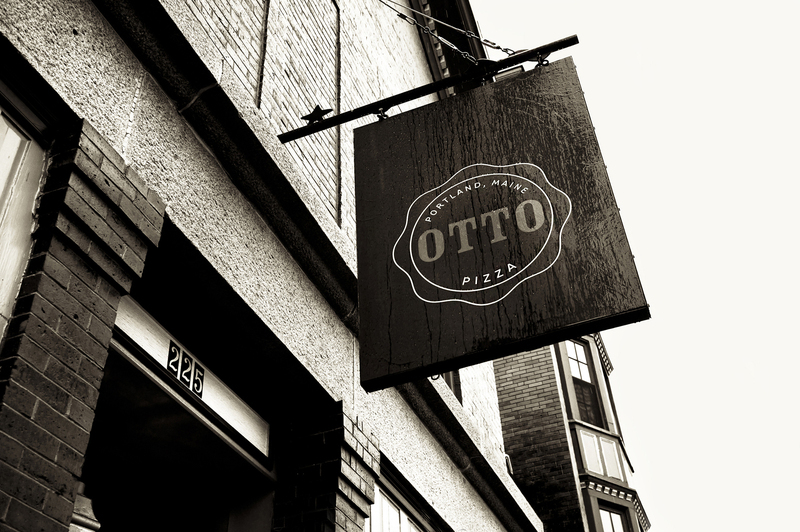 What do the Maine High School Basketball State Champs Have in Common with OTTO Pizza? 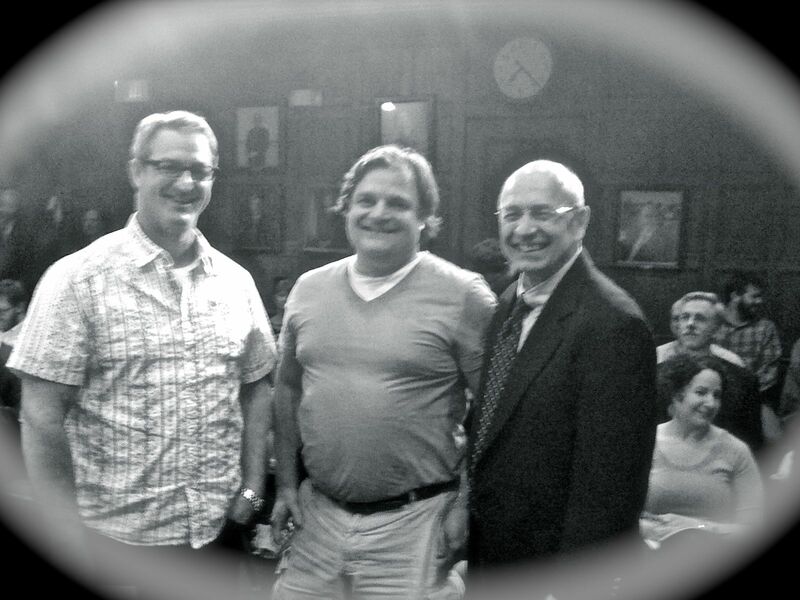 OTTO Pizza co-owners Mike Keon (L) and Anthony Allen (C) receive kudos from Portland Mayor Michael Brennan Monday evening at City Hall in Portland, Maine. A lot more than you’d think. F’rinstance, all of ’em are from Portland. For those of you who somehow didn’t see the news, Portland’s Deering High School boys basketball and McCauley High School girls basketball teams were both the best in the state this year — and OTTO Pizza is arguably the best pizza in the state, if not New England. And all of ’em were at City Hall in Portland, Maine, on Monday night to receive commendations from the members of the City Council and Portland Mayor Michael Brennan; the members of Portland’s championship teams for their outstanding athletic achievement on the court, and OTTO Pizza for supporting the Portland Recreation Department’s after-school program. And while we certainly didn’t set out seeking such recognition when we became involved with the Rec Department, it was an honor to receive it, nonetheless. 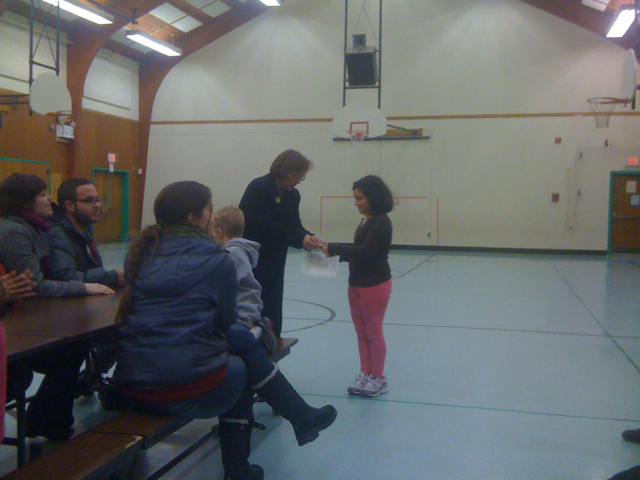 Nellie Lennon, a winner of the Kindness and Respect Award at the Hall School, steps up to collect her certificate and OTTO Pizza gift card. All too often, the kids who get attention are the ones who are causing trouble or acting out in some way, and for the folks who run the after-school programs at Portland’s Recreation and Facilities Department, that didn’t seem right. The kids who do the right thing, who make the right choices, should get some recognition, too. So this year, the Rec Department undertook an effort to call out those kids who go above and beyond what’s expected of them to show kindness and generosity to others, be they peers or parents, teachers or counselors. Corbett Dooley, another Kindness and Respect Award winner at the Hall School, receives his certificate and OTTO Pizza gift card. Each month, since the beginning of school back in September, the counselors at each program — the city runs after-school programs at each elementary school — selected those kids who really stood out when it came to showing respect and kindness toward others, and this week, the winners got their reward: a special certificate recognizing their achievement and … free pizza from OTTO Pizza! Specifically, a gift card good for a free large pizza of their choice. 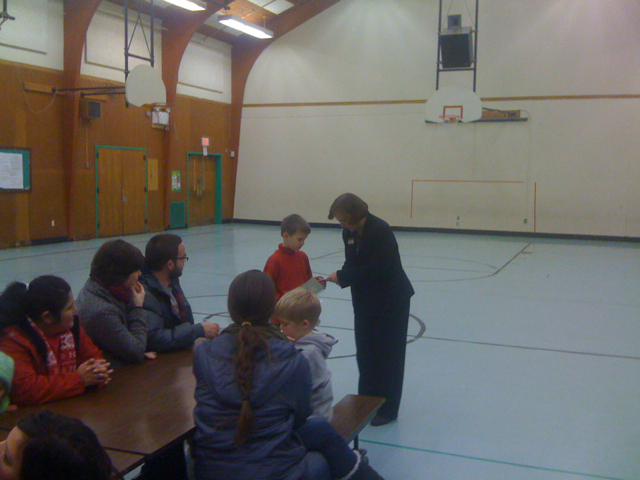 The first awards were handed out this evening to the eight winners at the Hall School, where the kids got what they deserved — recognition from their peers and parents, and some free pizza. Next week, the same thing will happen at Longfellow Elementary school and at the newly opened Ocean Elementary and at the end of the school year, the winners at Portland’s remaining elementary schools will be recognized as well. OTTO Pizza is proud to work with the Rec Department in this effort. Congratulations to the winners! The OTTO Pizza guys, Anthony and Mike, stopped by the Fox Morning Show earlier today with a couple of pies to talk pizza and the new delivery service. If you weren’t up this morning, or perhaps were otherwise engaged and unable to catch the show, you can check it out here. After the segment, the crew dug in and four pies were gone within about 10 minutes. 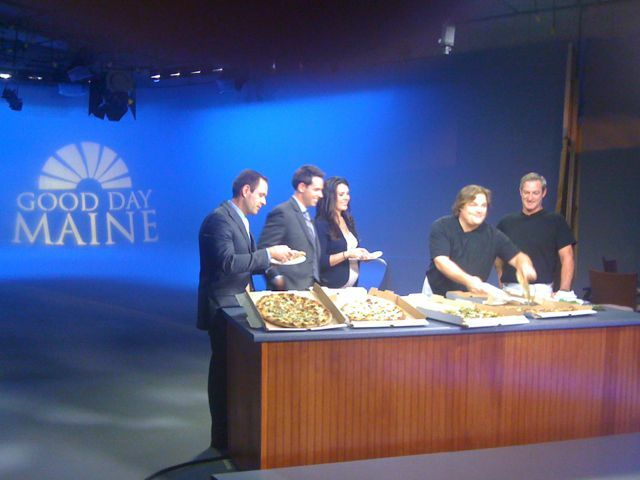 OTTO Pizza's Anthony Allen and Mike Keon serve up some fresh hot slices on the Fox Morning Show this morning in Portland, Maine. It was hard to tell which pie the crew liked better — the Masher (mashed potato, bacon and scallion) or the Roasted Tomato, Ricotta and Fresh Basil. 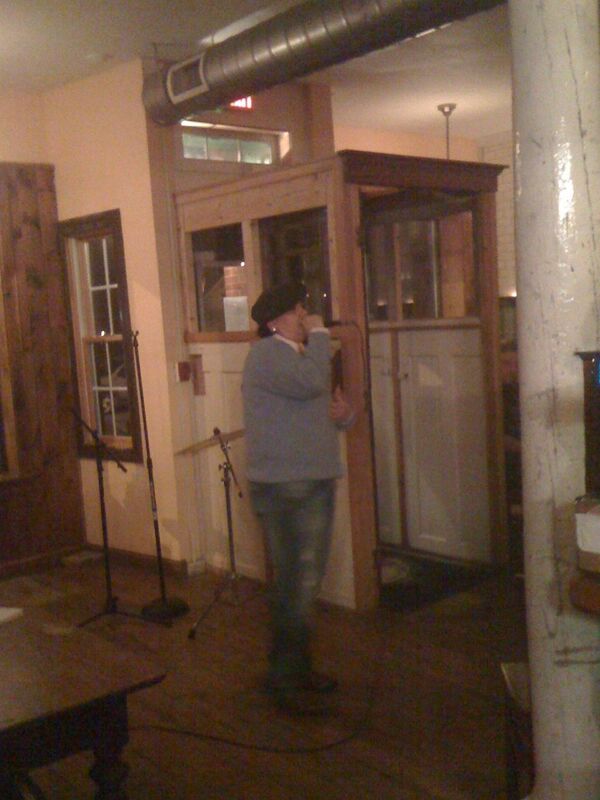 A good time was had by all, and Mike and Anthony left the studio with a standing invitation to come back anytime.